The two sides clashed over a Snuffed Out tower which Escalating Entropy had previously reinforced. With the tower set to exit reinforced mode both sides gathered allies and prepared for a fight. Snuffed Out, together with Project.Mayhem. [16-13] and WAFFLES. [N0MAD] formed a 150 pilot Proteus strategic cruiser fleet. The force gathered in a wormhole system with a connection to the Prism system and waited for Escalating Entropy to arrive. The tower exited its reinforced mode and Escalating Entropy arrived bringing a dreadnought squadron to the tower and setting it up near its shields. The dreadnoughts entered their siege cycles and started pummelling the defenceless structure. With the dreadnoughts now immobile Snuffed Out commanders ordered the attack. The fleet quickly poured of the wormhole and warped to the tower, only to find they had warped to the opposite side of the tower from where the dreadnoughts had gathered. After a quick re-positioning on a ping, the Proteus fleet warped back in, landing on the dreadnoughts. Tacklers started pointing the vessels while the force opened fire on the capital ships. As the strategic cruisers anchored up and started to tearing into the dreadnoughts. Suddenly a cynosural beacon was lit and an estimated 70 Escalating Entropy and Shadow Cartel [SHDWC] Machariel battleship fleet materialised on the grid with a full squadron of Apostle force auxiliaries in tow. The strategic cruisers switched targets, concentrating their fire on the new arrivals while making sure to keep all the dreadnoughts pinned down. The battleships burnt in with their autocannons spitting fire at the logistics wing of the Proteus fleet as the strategic cruisers returned fire on the Machariels. A frantic exchange took place as Guardians logistics cruisers and Machariels were blown apart in the crossfire. During all that commotion, the dreadnoughts were able to destroy the tower and were busy clearing the remaining anchored modules as they were already forced to remain on the grid. As the two sub capital fleets fought amidst the capitals assembled on field, a second cynosural beacon flared up. Into the field jumped Northern Coalition. [NC]. The alliance had been monitoring the exchange, and hastily formed a fleet after seeing all the capitals assembled by Escalating Entropy and Shadow Cartel. The Machariel fleet, unable to fight both the Proteus fleet and the Northern Coalition. super capitals, had no choice but to concede the field. However Snuffed Out decided to remain in the fight, tackling the Escalating Entropy and Shadow Cartel capitals. The reasoning behind it was simple, the capitals presenting a more appetizing target to Northern Coalition. than the strategic cruisers helping to tackle them. Doomsday devices spooled up and Fighter Bomber squadrons descended on the stranded capitals, their weapons piercing through shields and armour utterly demolishing dreadnoughts and force auxiliaries. All the while more and more Northern Coalition. super capitals piled into the system and swelling their numbers to almost 100 ships . Within minutes the entire Escalating Entropy\Shadow Cartel capital force was in ruins, only a few dreadnoughts escaping the slaughter. With the capitals gone, the Northern Coalition. fleet turned its attention to the Proteus fleet which remained close to it. Fighters started to swarm the strategic cruisers, chewing through heavy interdictors and mainline ships with relative ease. Realising the time to withdraw had come, Snuffed Out commanders had the fleet align out and enter warp. After dispatching the few stragglers it could catch Northern Coalition. claimed the field quickly destroying what modules remained from the tower before extracting the fleet back safely. With Northern Coalition gone, Snuffed Out returned to claim the moon once again, deploying a new tower and thus securing the strategic objective. With this, the battle in Prism came to an end. All told the battle lasted 16 minutes with the system seeing 320 pilots near the end of the battle and Time Dilation spiking on two occasions, once to 70% but subsiding quickly in both cases. Snuffed Out and its allies lost 22 ships in the engagement, including 7 strategic cruisers for a total of 10.26 billion ISK damage. 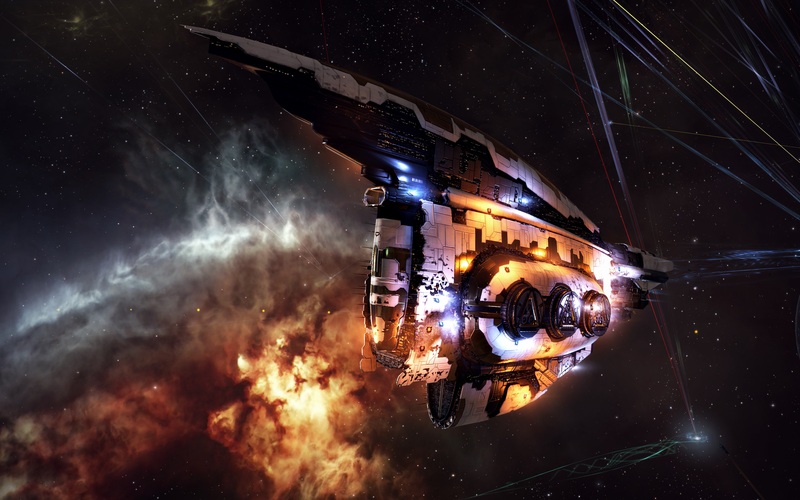 Escalating Entropy and Shadow Cartel lost 29 ships in the fight including 13 dreadnoughts, 7 force auxiliaries, 1 carrier and 7 battleships for a total of 67.28 billion ISK. Northern Coalition. lost nothing in the fight. Hey there. I discovered your website by way of Google even as searching for a similar matter, your website came up. It seems to be good. I have bookmarked it in my google bookmarks to visit then. hi!,I love your writing so a lot! percentage we be in contact more about your article on AOL? I require an expert on this space to unravel my problem. Maybe that is you! Taking a look ahead to peer you. Hi there. I found your web site by the use of Google while searching for a comparable subject, your website got here up. It seems great. I’ve bookmarked it in my google bookmarks to come back then. Hey there. I discovered your website by the use of Google while searching for a comparable topic, your web site came up. It appears great. I’ve bookmarked it in my google bookmarks to come back then. Hi there. I found your site by the use of Google even as looking for a comparable subject, your web site got here up. It seems good. I have bookmarked it in my google bookmarks to visit then. Hiya, I’m really glad I’ve found this information. Nowadays bloggers publish only about gossip and internet stuff and this is actually annoying. A good web site with exciting content, that’s what I need. Thank you for making this web site, and I will be visiting again. Do you do newsletters by email? Hiya, I’m really glad I’ve found this info. Nowadays bloggers publish just about gossip and net stuff and this is really annoying. A good site with interesting content, that’s what I need. Thank you for making this website, and I will be visiting again. Do you do newsletters by email? Hello there. I found your site by means of Google whilst looking for a similar topic, your website came up. It seems great. I have bookmarked it in my google bookmarks to come back then. Hello there. I found your blog via Google even as searching for a similar topic, your web site came up. It seems to be great. I have bookmarked it in my google bookmarks to visit then. Hiya, I’m really glad I have found this info. Today bloggers publish only about gossip and internet stuff and this is really irritating. A good site with exciting content, that’s what I need. Thanks for making this site, and I’ll be visiting again. Do you do newsletters by email? Whats Happening i’m new to this, I stumbled upon this I’ve found It absolutely useful and it has helped me out loads. I am hoping to contribute & help different users like its aided me. Good job. Hiya, I’m really glad I have found this information. Nowadays bloggers publish only about gossip and net stuff and this is actually annoying. A good blog with exciting content, this is what I need. Thank you for making this web-site, and I’ll be visiting again. Do you do newsletters by email? Hello there. I found your web site by the use of Google even as searching for a related topic, your web site got here up. It appears to be good. I have bookmarked it in my google bookmarks to visit then. Hey there. I discovered your site by way of Google whilst looking for a related topic, your website came up. It seems to be good. I have bookmarked it in my google bookmarks to come back then. Hi there. I found your website by way of Google at the same time as searching for a related topic, your site came up. It seems to be great. I’ve bookmarked it in my google bookmarks to come back then. Hi there. I discovered your website by the use of Google while looking for a related matter, your web site got here up. It appears to be great. I’ve bookmarked it in my google bookmarks to visit then. Hey there. I discovered your blog by way of Google while looking for a similar topic, your site got here up. It seems to be good. I’ve bookmarked it in my google bookmarks to visit then. I obtained two networked blog site setup of a single blog in facebook. I want to remove of them. Is there any type of means to remove just one networked blog site keeping the another as it is?.